We have a couple young adults for adoption! I am offering several of our retired girls and boys for adoption I have several older dogs as well as some of my young adults I need good homes for since both my parents are in their 80's and I am spending more time caring for my family so I don't have the time to spend on grooming my dogs and giving them all the attention they deserve. Check out my available adults page or contact me for who is available. WELCOME TO RICE'S MINIATURE SCHNAUZERS! Rennie will be working on his Grand Championship this year. WHITE, BLACK, SALT & PEPPER, and BLACK & SILVER. 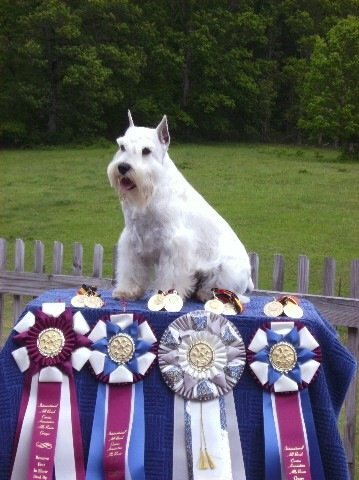 We are the top show kennel of white Miniature Schnauzers in the USA with over 30 Champions! Home of "Boston", Rice's Its Snow Tea Party. 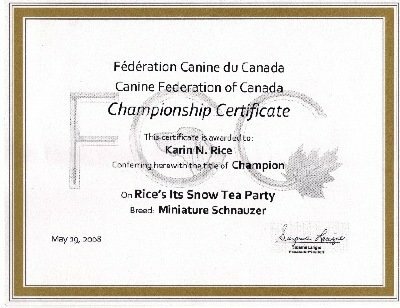 earned his JungstenCH and ICH puppy CH in Washington, PA on May 18, 2008. 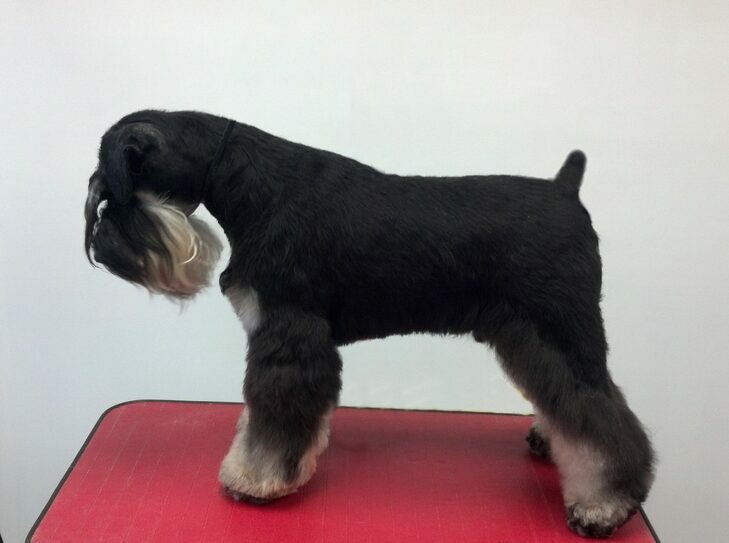 Rice's took 2nd in Breeder's Group with Boston, Sierra, Deacon & Dolan. CONGRATULATIONS to DOLAN's new owner : IVAN TRANCOSO DIAS! DOLAN is being shown extensively in Brazil and South America. Dolan was 3rd BIS his first time shown in Brazil! 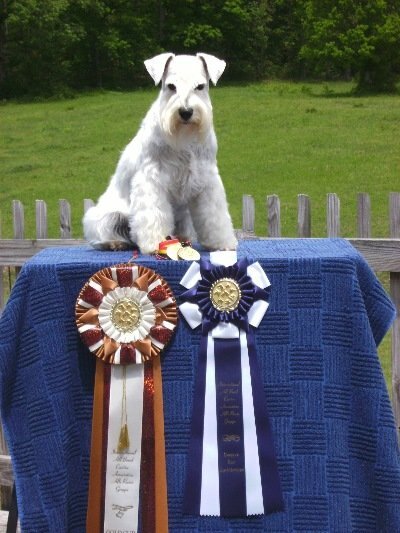 25 White Miniature Schnauzer International Champions in the USA, Mexico, Canada, and Europe. Genotype for WHITE MINIATURE SCHNAUZERS is now available by DNA testing. 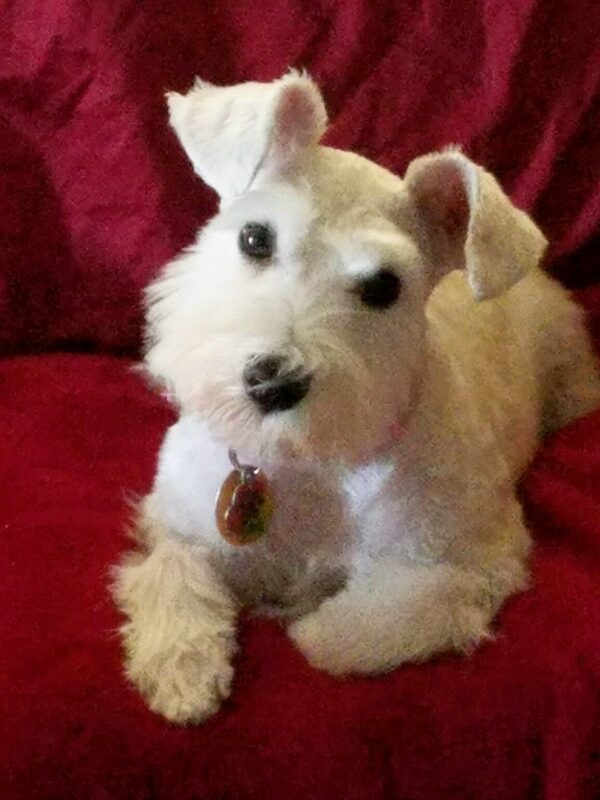 For the Latest News on DNA testing for the White Miniature Schnauzers go to the "White Color Genetics" page. 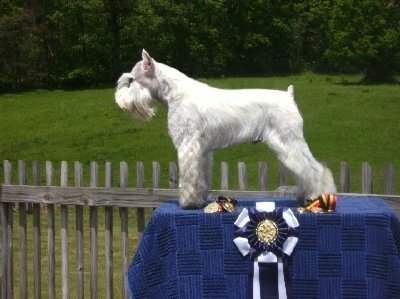 We specialize in Show Quality White Miniature Schnauzers!